2015 DS4 210 THP review | What Car? Back in 2014, Citroen announced that its upmarket DS range of vehicles was to be spun off into its own standalone brand. DS has since set about launching new models, as well as revamping its existing line-up, in order to establish itself. 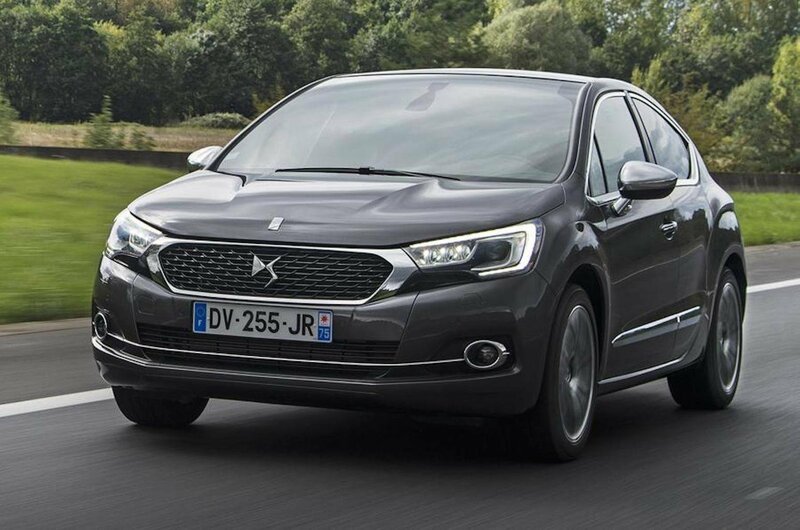 The DS4 is the latest model in the range to be facelifted, gaining distinctive front-end styling that distinguishes it further from the Citroen C4 on which it is based. Other upgrades include the fitment of a new 7in touchscreen sat-nav and system that supports Apple CarPlay. What is the 2015 DS4 210 THP Prestige like to drive? The DS4 was never regarded as a car that was particularly good to drive, due to a crashy ride and vague steering. This updated version features revised suspension which has improved the ride and handling a little because the car feels more composed, but it still thuds and bangs over sharp bumps, and rarely feels settled. It steers precisely enough, though, and has plenty of front-end grip. It's not all bad news because the facelifted DS4 marks the debut of the THP 210 engine in the brand's range. It's a 1.6-litre turbocharged petrol, which produces 208bhp and 210lb ft of pulling power. Performance is suitably swift, with DS claiming a 0-62mph of 7.8sec. You can feel a shunt through the car when you accelerate, however, which spoils the otherwise smooth engine. You can only have a six-speed manual gearbox in the THP 210 version of the DS4, but it is a fairly slick transmission. Fortunately, the engine's decent mid-range pull means you rarely have to change gear, with it accelerating well from lower down in the rev range. It sounds quite good, too, but it can be a little too intrusive when revved hard. The DS4 stops well, and the brakes don't grab aggressively when you touch the pedal. What is the 2015 DS4 210 THP Prestige like inside? Don't buy a DS4 if you routinely want to carry adult passengers in the back. The rear seats are still cramped and quite difficult to get into, due to narrow door openings and a low roofline. The rear windows still don't wind down either, which many passengers won't like. You have to be careful with the door itself, too, because its long, pointed shape can occasionally cause it to clash with yourself or whatever you've parked next to. The DS4's cabin is otherwise conventional, barring its flashy trims. There's enough space up front to get comfortable, aided by a wide range of seating adjustments, but the seats could do with additional side support. Limited rear space aside, practicality is otherwise good thanks to a large boot that should accommodate most needs. The rear seats split and fold to further increase the room on offer as well. Prestige versions, which are the only ones offered with the THP 210 engine, come with a decent amount of kit for the money. Highlights include a decent sat-nav and media system, Bluetooth, dual-zone climate, DAB radio and cruise control. The cabin's quality leaves something to be desired, however, as many of the plastics and trims are easily marked. The cabin can also be noisy, with lots of wind noise from the door mirrors at speed. The DS4 certainly has some characteristics that may prove appealing to some, such as its distinctive styling and detailing. It's also a car that comes with plenty of equipment, while its powerful engine, a wide range of options and personalisation features grant it a further edge over similarly priced - or more expensive - rivals. What it packs in terms of looks and kit, however, doesn't compensate for the fact that it's not very good to drive. Throw in the fact that the rear seats are cramped and difficult to access, and the oddities like the lack of front grab handles or wind-down rear windows, and the net result is somewhat of a disappointment. We suspect most would be far happier with a more conventional hatchback, even if it wasn't quite as interesting to look at.